For folks in Ilion, N.Y., guns equal jobs. More than 1,300 people from Ilion and neighboring Mohawk and Herkimer work at the sprawling Remington Arms factory. 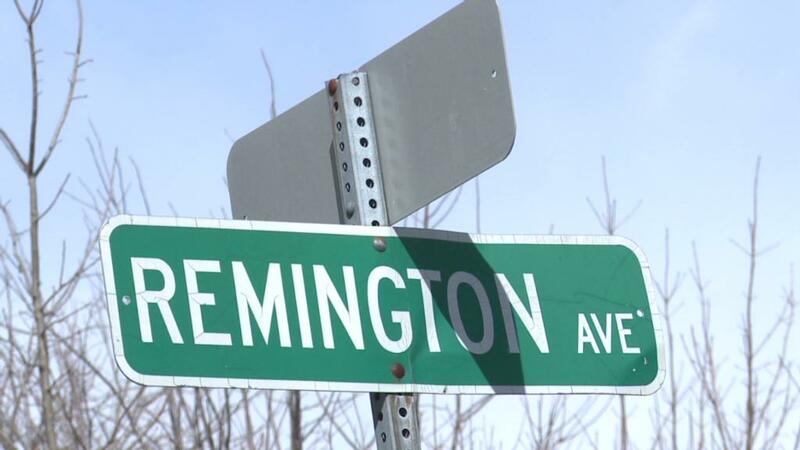 Many residents bought their homes and raised their families on Remington paychecks. Not even a local mass shooting on March 13, which left four people dead and a businessman and Remington retiree wounded, was enough to shake the area's pro-gun sentiment. "There's nothing wrong with guns," said John Seymour, who was shot twice in his barbershop in Mohawk, where the gunman also wounded a neighbor and killed two other men. "This is an unfortunate situation that happened in a small town where they happen to make a lot of guns," said Seymour, who was hit in the back and the wrist by gun shots. "It gives people the wrong idea that guns are bad." Seymour, who does not own a gun but whose father worked at the Remington plant for 37 years, was recovering at home in Ilion. His next-door neighbor, Remington retiree Dan Haslauer, was still in the hospital. Gun sales have surged nationwide amid a series of mass shootings and increased efforts by Democratic leaders and President Obama to implement tougher restrictions on firearms. Factory workers say the Remington plant has hired 200 people in the past month, and is now running 24-7 in three full shifts. Jobs at Remington pay well, especially for an area that's seen so many manufacturing jobs disappear. The average worker earns $47,000 a year, in an area where a house typically costs $70,000, according to Frank "Rusty" Brown, who runs a political action committee for United Mine Workers of America, Local 717, which represents Remington workers. "You can live the American dream if you work at Remington Arms," said Ilion Mayor John Stephens, noting that employment at the plant has more than doubled in the past five years. But the push for more gun restrictions has residents worried about their economic future. "Ever since this gun control thing has come up, people are unsure of what will happen and they're holding onto their money," said Ken Gates, a Mohawk contractor. Says Mayor Stephens: "We're on the high point of the wave right now. Ride it until you can't ride it no more. We all know that eventually it's going to come down." Small businesses such as Sorrento Pizzeria and Restaurant, founded in 1986 by Sicilian immigrant Pat Magro, are enjoying the flush times. He recently delivered 38 pizzas to the factory in one day -- 24 for the first shift and 14 for the second. The bill totaled $584.49. But Magro, who worked at the factory for 10 years before he was laid off, is aware that things shouldn't be taken for granted. "Now the sales are really hopping," said Magro. "As the years go by, there are ups and downs. Sometimes they lay off, sometimes they hire. Ilion is a small village and everything is Remington Arms. If Remington Arms, for any reason, is not here anymore, this will be a ghost town." Factory workers tend to gather at Side Street, a bar around the corner from Seymour's shuttered barbershop. Some of them wear T-shirts with the slogan "Cuomo Made Me a Criminal," a reference to tough new gun restrictions imposed by Gov. Andrew Cuomo, who says he owns a Remington shotgun himself. "It's terrible, but it happens, and all the laws they got ain't going to stop it," said Larry "Babe" Del Grego Jr., an Ilion gunsmith whose family has made a living for four generations repairing antique Remington-made Parker shotguns. In December, just days after the Newtown massacre, Cerberus Capital Management put Freedom Group up for sale. Freedom Group owns Remington and also Bushmaster, the brand of rifle used at Newtown.